Normally, I’d be super hesitant and scared to jump off a 10-yard cliff into a small pool of water…I’d linger and ponder. Just two days ago, with a millisecond of hesitation, and a flicker of a raised heartbeat, I jumped. 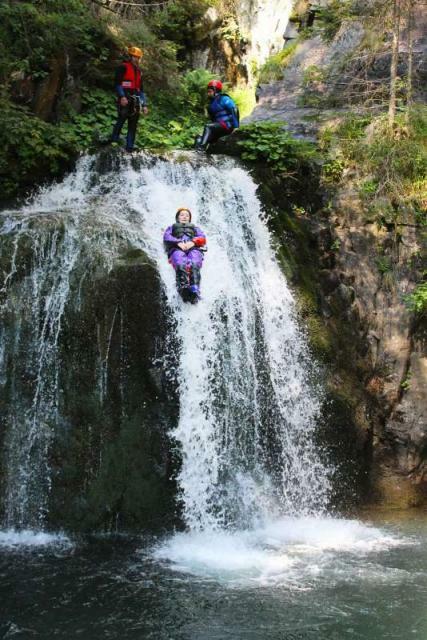 Splashing into a small pool of water – this is canyoning in beautiful Interlaken, Switzerland. Decked up in full safety gear with guides who knew how to teach us to be super safe (they knew how to teach us to jump, rappel and even walk – through the canyon), I went with a group of five other strangers who turned into friends for the next two days. Back in the small town, a chocolate chef shows off his skills and we nibble on his art – as much as we want. Nestled between two lakes in the Swiss Alps, I felt cozier and happier than my time in Monterosso in the Cinque Terre – and I loved the Cinque Terre. I zip-lined and was happily challenged (more than I thought) on the high-ropes course and it was hard NOT to want a photo at every step. 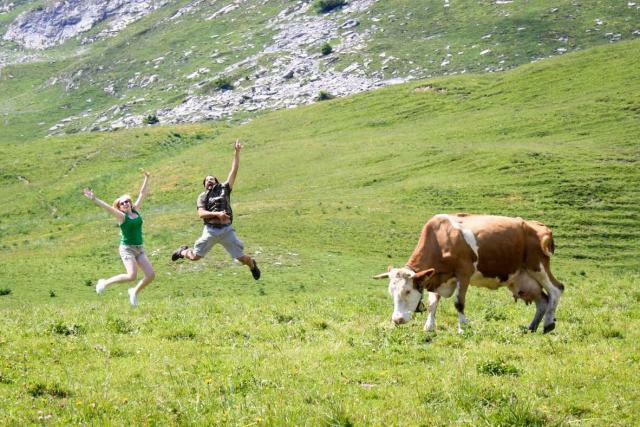 Look up – the Swiss Alps in all their glory are clearing up. Two hours later, the sky is smothered with a touch more white than blue. Up Harder Kulm on the 100-year-old funicular (yet with a super modern car on the tracks – full bleed windows from the floor to the ceiling) – I pass ibex hanging out, lazily watching me. The view from the top of the mountain is spectacular – I can see both lakes, the river, my hotel, the chocolate shop – and para-gliders above me soar with birds. 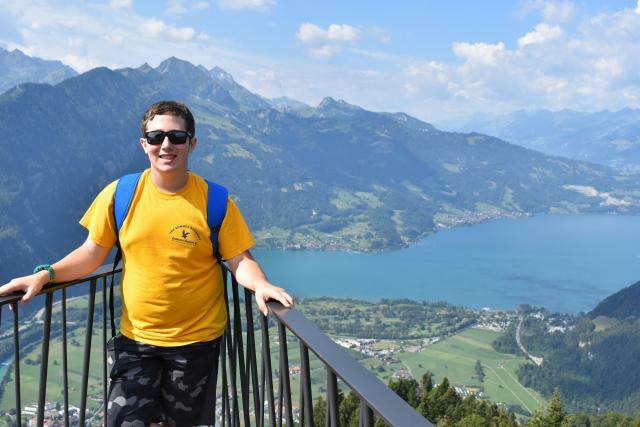 I hike overlooking a valley just outside nearby Murren. Trummelbach Falls – a collection of waterfalls literally inside a mountain – roar louder than I can yell in a place of extreme beauty and amazement! At night, a small creature crosses the road. I have no idea what it is – and no-one else is around to ask. Everything’s quiet and dimly and charmingly lit. Wikipedia suggests to me it could be a marmot? You tell me. It was an intimate moment – we shared stories of where we came from – it never told me its name. 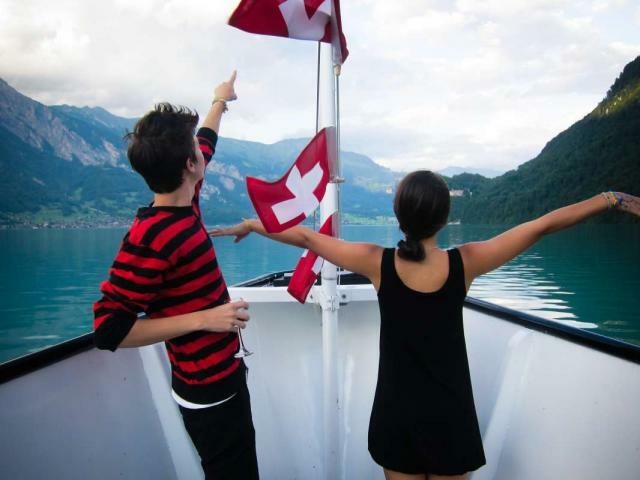 Do you think I wanted to leave Interlaken – no way. Step down, Cinque Terre – Interlaken is the new awesome. 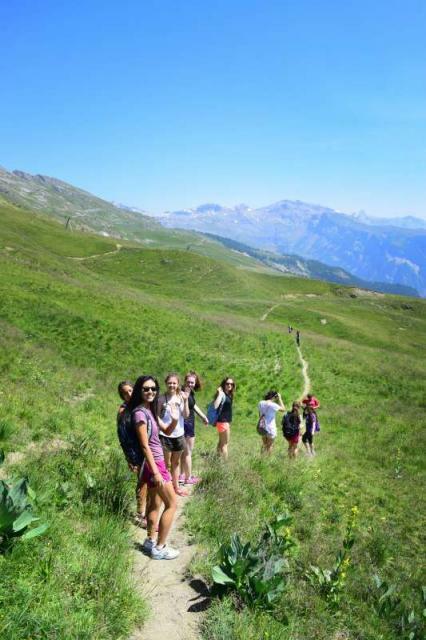 Check out our Europe for Older Teens: Florence, Cinque Terre, Switzerland, Paris trip that visits Interlaken this summer!